Passported’s Henley Vazquez recently hopped down to the new Àni Villas on the northern coast of the Dominican Republic. Read on for her favorite features, what to know before you go, and why even the most committed hotel lovers would enjoy the home rental experience here. One of Tuscany’s most popular seaside towns, Forte dei Marmi attracts a loyal mix of summer visitors for its laid-back beach clubs, family-friendly hotels, and upscale restaurants. At the heart of the action is Hotel Byron, an elegant, kid-friendly sleep with views across the Ligurian Sea and Apuan Alps. We spoke to owner, and Forte dei Marmi expert, Salvatore Madonna about the highlights and hidden gems of this quintessential northern Italian beach town. Starting to dream of summer in Europe? Consider a multi-stop tour of Greece's largest island, Crete. We planned an off-season, multi-generational trip for a London-based family at the end of last year and received rave reviews. Read on for their three-stop itinerary, the hotels they loved, and the coastal town not to miss. Anyone who’s traveled with kids has probably lamented the lack of space in a hotel room. But if you’re like us, you’ll choose hotels over home rentals because it just ain’t vacation if you’re shopping for someone’s favorite cereal, making beds, and booking your own dinner reservations. So, we’re rounding up a few of our favorite houses that function like tiny hotels. These aren’t villas attached to resorts — there are plenty of those — but rather a hotel in a house, the kind of place that lets you spread out a bit without sacrificing the amenities of a resort. Read on for four of our favorites. What: Fully-staffed houses on a pristine private island in the Grenadines, complete with great hiking, amazing beaches, access to resort services, including six tennis courts, a spa, gym, and even a riding stable. Why: A private chef comes with every home, and you’ll spend less than you would on a couple of rooms at a fancy hotel. You’ll be surprised the kinds of deals you can get here. Where: A 30-minute flight on a small plane from St. Lucia. If you can handle the St. Barth’s trip, you can do Mustique. What: Sprawling design-savvy homes with a full staff, including housekeeping, concierge, and chef. Why: Rates are all-inclusive, so this is an especially good option if you’re hosting an extended family or a group. Eat and drink up! Read our full review here. Where: Two locations in Rio San Juan in the north of the Dominican Republic (near the new Amanera) and Anguilla. What: Three homes tucked into the countryside of Mallorca, each with its own staff, as well as private pools, walking paths to the seaside, and a tennis court. Why: Like Ani Villas, prices here include all the services, accommodations, and food and beverage, so you don’t need to worry about what you’re spending once you arrive. Oh yeah, and these are part of the Virgin Limited Edition Collection, so it’s got the Richard Branson stamp of approval. 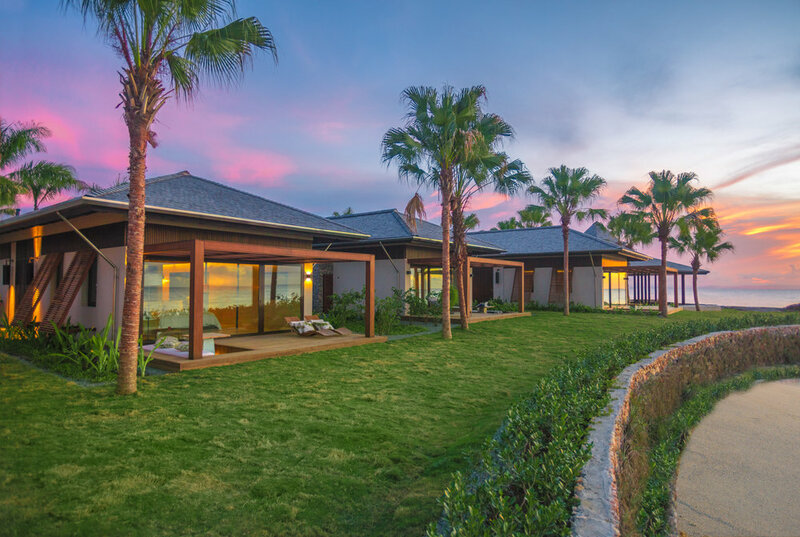 What: A collection of villas in Turks & Caicos. Why: With so many quick, direct flights from multiple cities, Turks has become a year-round destination for meeting up with friends and family for some beach time. Traveling with infants comes with one guarantee: excess baggage. So how do you cover the basics without packing the kitchen sink? We called up Dr. Vicki Porges of New York’s Downtown Pediatrics to get her input. A fourth-generation family doctor and mom of two, Dr. Porgesshares her down-to-earth approach on everything from the sunscreen to buy to what to pack for the plane. We feel calmer already. Vienna is a dream city break for families, packed with fairytale palaces, picnic-ready parks, and apple strudel on the breakfast menu. We asked one family just back from the Austrian capital to share their tried and tested highlights. Read on for the kid-approved list, from the museum to visit twice to where to find the best schnitzel in town. Don’t put away the skis just yet — there’s still time to hit the groomed trails, cozy fires and rustic cabins around Lake Placid this season. To put you on the fast track, we asked Lake Placid regular and Passported travel advisor and contributor, Elisa Brown, to share her favorite spots to sleep, play and eat on and off the slopes. At 7-months-pregnant, Passported co-founder Henley hopped a plane to Casablanca with her husband, 10-year-old and 6-year-old to explore Marrakech, the Atlas Mountains, and desert at Dar Ahlam in a jam-packed weeklong adventure. Here, she shares her planning pro-tips, including why an empty duffel should be top of your packing list. Receiving member postcards is our very favorite sort of mail. We're talking texts, what's apps and emails rather than anything with a stamp, but there's nothing like in-the-moment travel notes for boosting our destination knowledge and fueling our wanderlust. Here, journalist Jackie Cooperman shares highlights and tips from a recent family trip to Athens and Crete — essential reading for anyone thinking of a Greek adventure next summer. Stowe, Vermont is one of the most visited ski destinations in the northeast, but there's much more to this quintessential New England town than the slopes. The region's lakes, lush green mountains and picturesque woodlands attract adventure seekers and families throughout the year, while the town itself is a walkable treat of high-steepled churches, wooden bridges, lauded restaurants and independent shops that celebrate local artisans. Here, Passported contributor Elisa Brown shares her guide to experiencing the best of Stowe in every season. Each fall, we receive a slew of trip requests for “somewhere upstate,” “nature… but with a gorgeous hotel,” “leaf peeping, long walks and good food.” Our suggestions nearly always include two all-inclusive standouts: Vermont’s sprawling gem of an estate, Twin Farms, and upstate New York’s famous lakefront resort, The Point. Recently, Passported’s Monique Thofte and Brandi Wilson paid visits to each property, and now we’re comparing notes. Read on to find out which of these storied sleeps is best for you. For travelers, Seattle does double duty as a sophisticated city break and dramatic escape to nature. Expect busy days exploring the city’s revamped downtown, family-favorite waterfront, and coffee shops galore, and don’t miss a cruise on the Puget Sound or day trip to the Olympic National Park. And where to rest your weary head? We asked insider Brandi Wilson to share her favorite hotels across the city, from a waterfront classic families love to a new hotspot with a knockout rooftop bar. If Panama isn’t yet on your family travel wish list, read on! For the culture, history, adventure, beach, water sports, and dreamy hotels, all just a five-hour flight from the east coast, it’s a no-brainer for families ready for a multi-stop itinerary. Read on for our eight-day, three-stop trip plan in Panama City, Boquete and Bocas del Toro, and get in touch when you’re ready to book your next big trip.